How Much Does It Cost to Open a Tutor Doctor Franchise? Who Makes a Good Tutor Doctor Franchisee? How Do I Market My Business? Private tutoring, or supplemental education, is on the rise. In fact, it is growing by leaps and bounds and it is now the fastest growing segment in the education industry! Todays parents are turning increasingly to after-school tutors to supplement their children's regular school program or to compete for competitive university entrances. The rise of tutoring could appear to reflect the decline of public education, but it could also reflect the big drive of parents to have their children succeed in education. CNN reported that Korean parents spend as much money on tutoring as American parents spend on video games. Educational franchises continue to make the grade according to international franchise "Best of" annual reviews. In Entrepreneur Magazine's "Franchise 500" list of 2014, the quintessential measurement of the franchise environment, supplemental education ranked in the top 20 and in the top 100 spots. It's been called a "revolution" and a "cultural shift", in the fields of education -- definitely not a fad. Market conditions for private tutoring or supplemental education are very positive with steady year-to-year growth. The overall market size in 2013 was $15.26 billion, an increase of 3.5% compared to 2012. Moreover, the sales growth estimate for 2014 was 6.3%. A leading market research firm has forecasted that the global market for private tutoring will reach $128 billion by 2020! And, Tutor Doctor -- the fastest-growing in-home private tutoring franchise in the world -- is poised for significant growth in 2015! As one of the fastest growing education franchises in the world, Tutor Doctor continues to be noted and awarded for its many accomplishments through local and national media. Our buzz is spreading far and wide! We invite you to check out our videos, news articles, blogs, and Tutor Doctor franchise reviews! Come back regularly as we continue to update these pages! for a tutor doctor franchise? Click the button below and complete the form which will also get you access to our detailed franchise information report! AS A TUTOR DOCTOR BUSINESS OWNER, YOU RECEIVE MANY BENEFITS! Tutor Doctor leads the way in one-on-one in-home tutoring franchise with a service that is second to none in Canada, US, UK and international markets. This is the opportunity you've been looking for as an entrepreneur. Our tutoring franchise program was voted number one in-home tutoring franchise worldwide by Entrepreneur Magazine. They also won the Child Magazine’s Parents Choice Award in 2010, 2011, and 2013 and the Top 50 Franchises for Minorities, National Minority Franchising Initiative. Whether your background is in general business, sales and marketing, current or past business owner, teacher, veteran, IT, financial or health, if you follow Tutor Doctor's proven system, you will build and expand your client base and achieve recurring revenue streams. Our process is geared toward guiding you along the path to independent profitability! 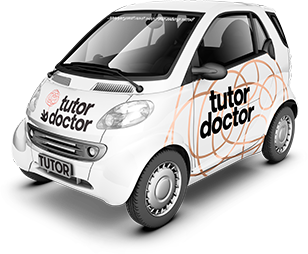 Discover whether a tutor doctor franchise is a good fit for you!